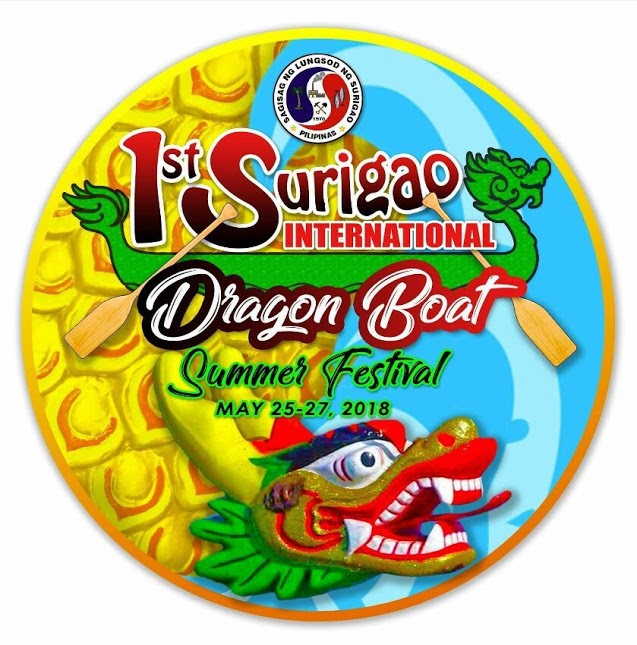 Mindanao’s biggest international sporting event, the 1st Surigao International Dragon Boat Summer Festival was successfully held last May 26, 2018. 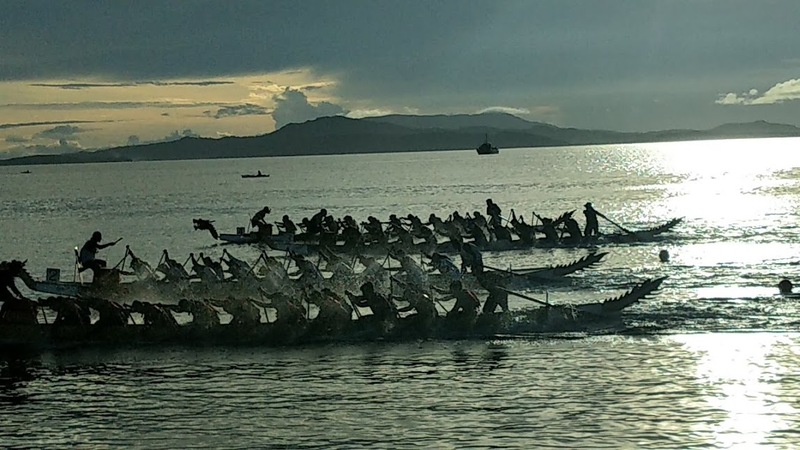 With 22 teams coming from the Philippines and the rest of the teams from Malaysia, Canada and China including Hong Kong, a total of nearly 600 athletes competed for three categories namely, the 200m Small Boat Mixed Major, 200m Small Boat Mixed Minor and the 200m Standard Open. 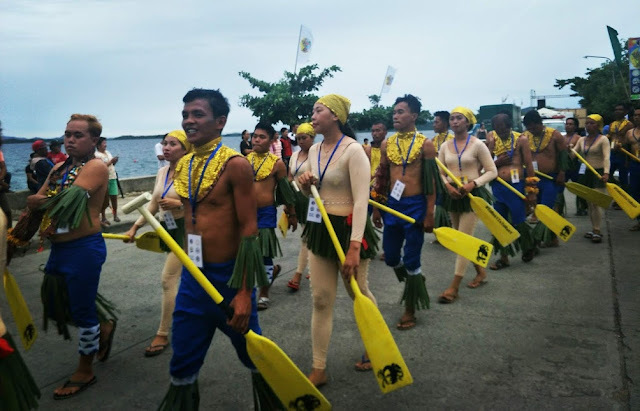 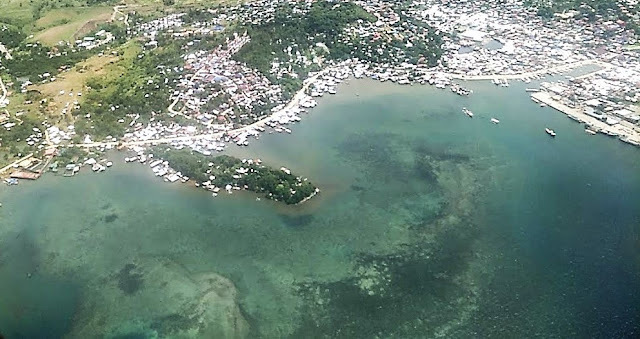 Surigao’s waterways is one of the province greatest treasure. 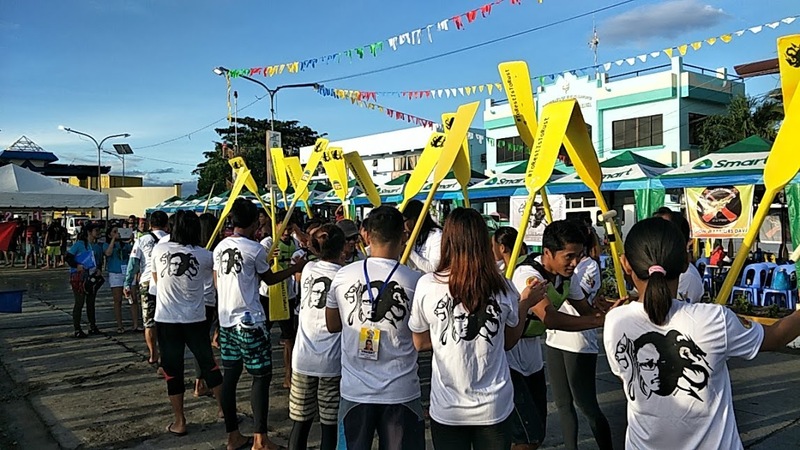 To further boost Surigao’s tourism and promotion of the dragon boat as sports, the indefatigable Ms. Roselyn Merlin of Surigao local tourism brought the sporting event to Surigao after attending an event in Taiwan. 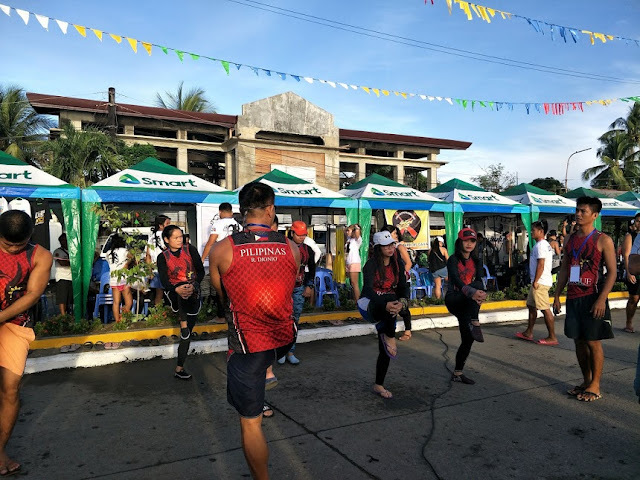 With the fullback support of top local government unit officials led by Mayor Ernesto T. Matugas, the biggest international sports competition in Mindanao was underway. The 1st Surigao International Dragon Boat Summer Festival is the first ever hosted dragon boat race in the country with prize money and island tour package offered for the participating crew. 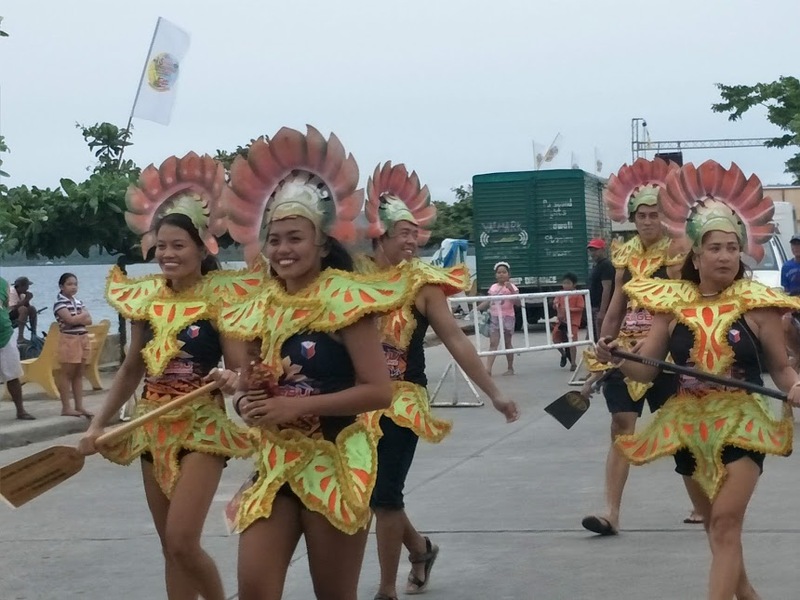 The first day of the festival began with a costume parade around the city to the delight of the Suriganons who cheered the participants in their grand costumes. 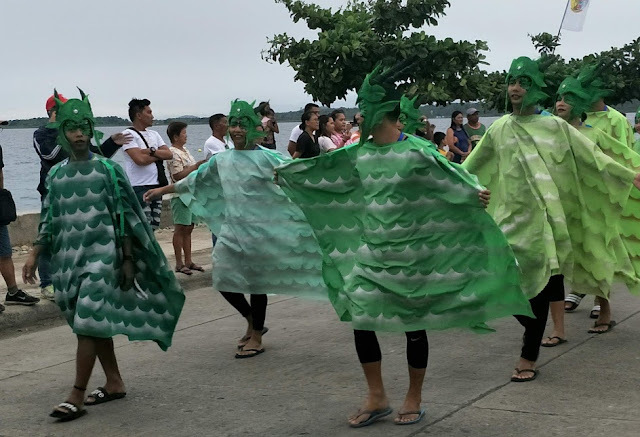 Never mind that a squall hit the city in the middle of the day but the parade goes on and each team showed off their dragon-themed costume. 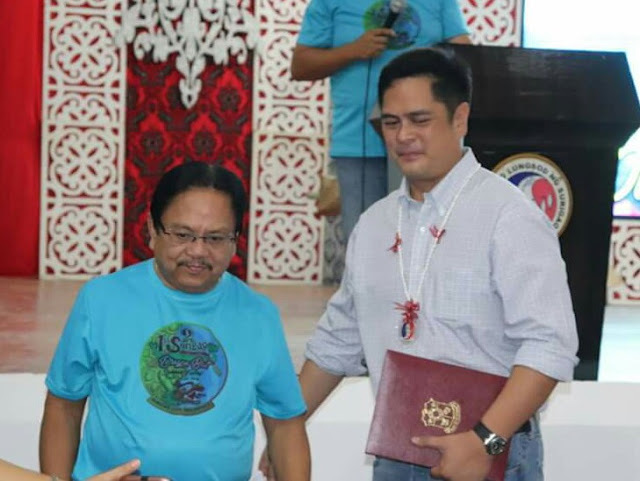 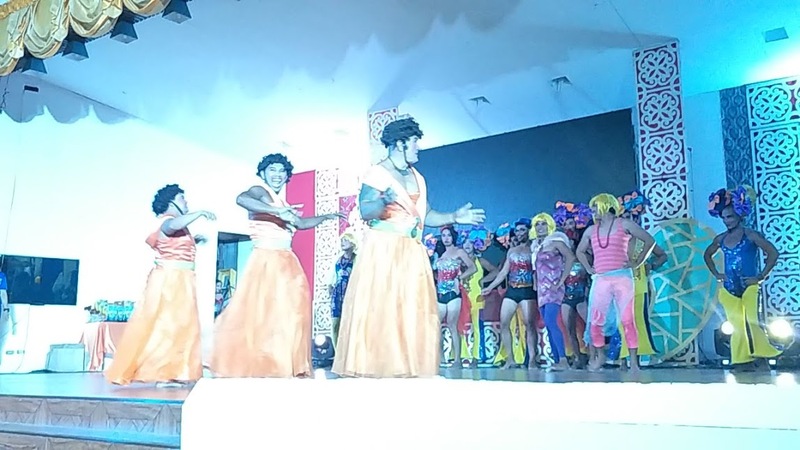 Afterwards, the welcome and opening ceremony was led by the Communications Secretary Marttin Andanar together with City Mayor Ernesto Matugas, and Surigao del Norte Vice Governor Arturo Carlos Egay, Jr. who represented Governor Sol Matugas. Secretary Andanar, a native Suriganon was happy to be back home. 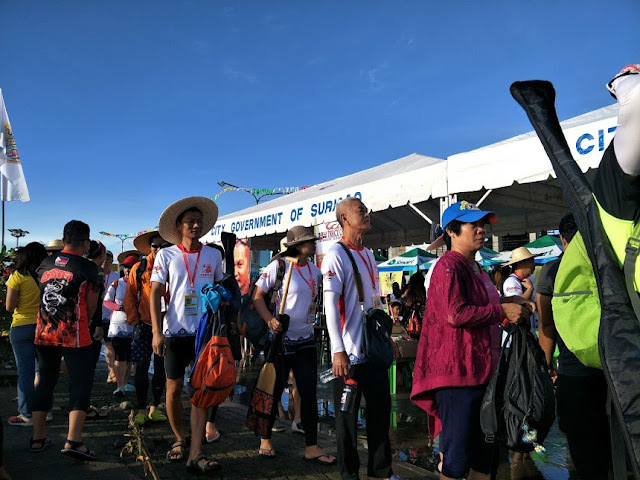 During his speech, he shared what the dragon boat competition is all about and how it is a showcase of endurance, teamwork, cooperation, sacrifice, discipline and the humble surrenders to the rigors of the rule. He also wished that the festival be a continuing event in the years to come. May 26, 2018 dawned bright and clear, before the competition begins Fr. 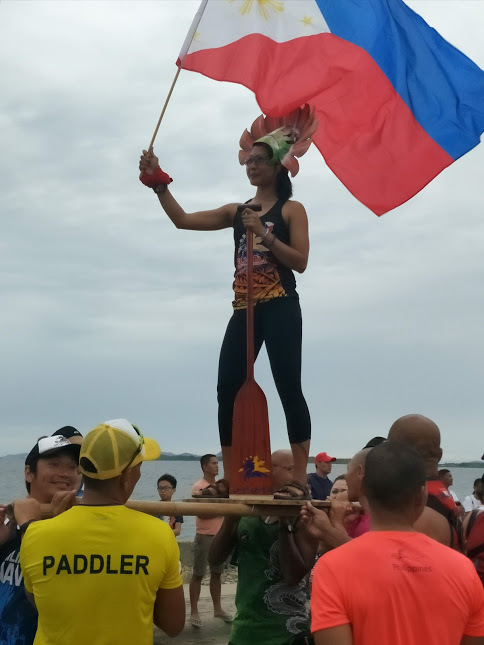 Bobby Puracan led the blessing of the dragon boats as well as the floatation platform. Hundreds and hundreds of people began filling up the Surigao City Boulevard and before the sun is completely up, the race begins. 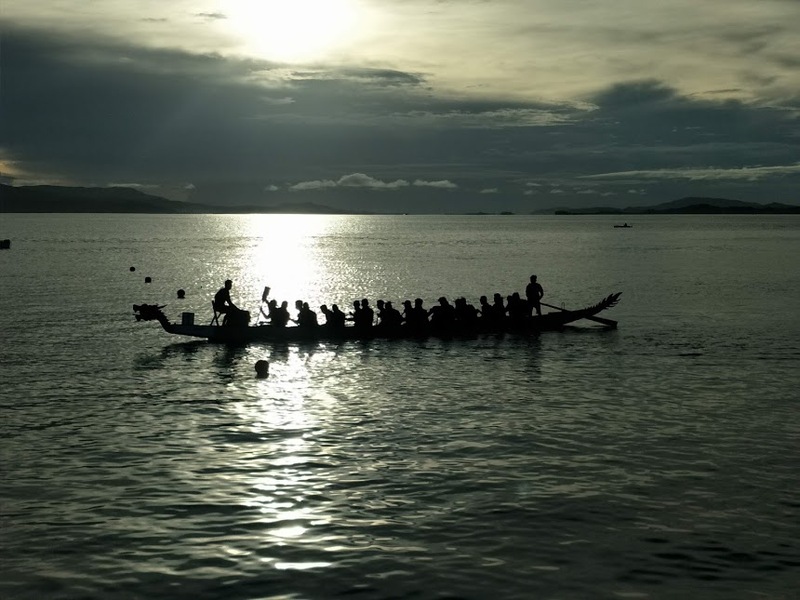 A total of 23 exciting races were completed halfway through the day. 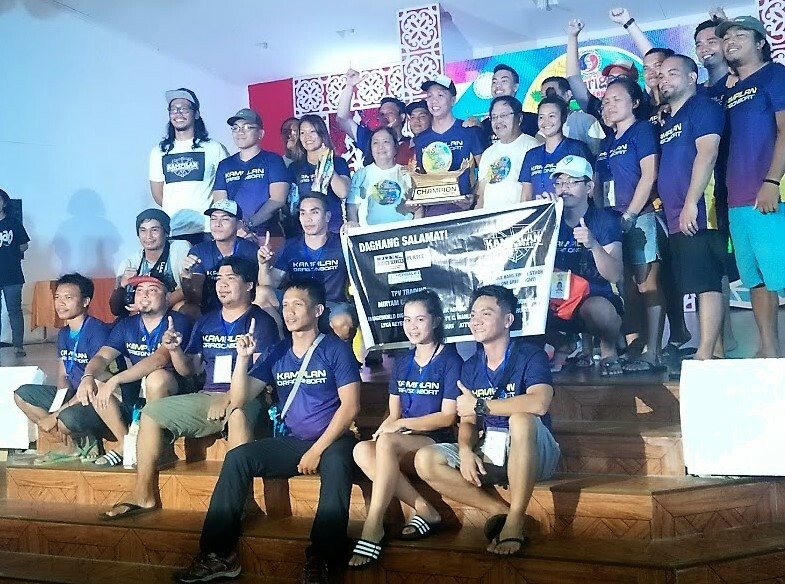 Official results were announced during the closing and awarding ceremonies where each team also showcased their talents during the team presentation. 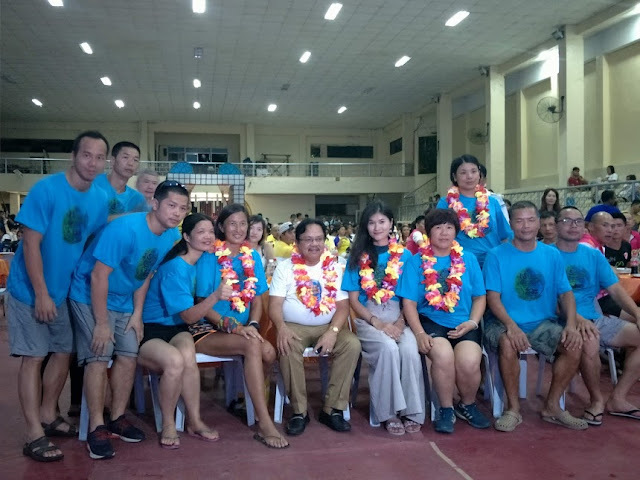 Thank you so much Tourism Promotions Board for this wonderful opportunity.